Get your thrills in Chattanooga. Packed with attractions and adventure, downtown has everything you need. Leave your car parked for the weekend. After you check in at the Bluff View Inn or SpringHill Suites, tootle over to the Back Inn Café for dinner or the Flying Squirrel for drinks. End the night at Track 29, the city's top venue for live music. Tumble out of bed the next morning and make your way to the Hunter Museum of American Art and visit Chattanooga's art galleries, sculpture garden, and historical attractions. The Passage, an outdoor exhibit with steel sculpture, depicts the region's Cherokee heritage. Good times run from top to bottom under the 12-story-high glass peaks of the Tennessee Aquarium, ranked as the nation's best. More than one million visitors a year view freshwater and saltwater fish and sea creatures of the reef, plus penguins, otters, and rays. 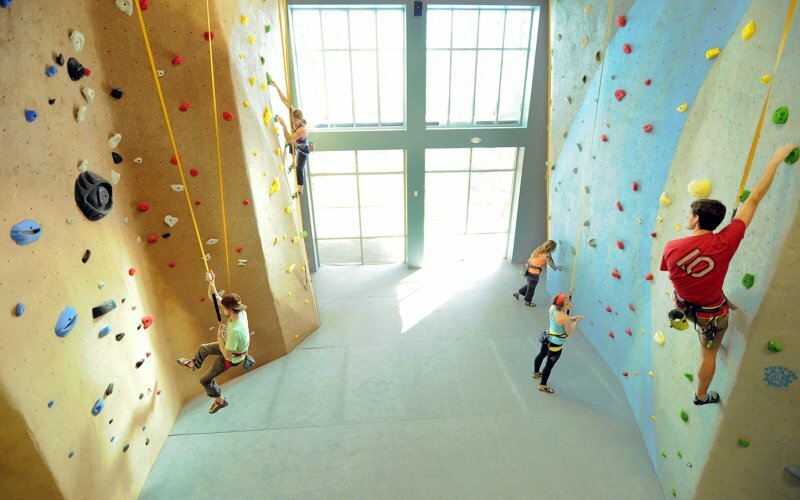 Family attractions within walking distance of the Tennessee Aquarium include the Creative Discovery Museum, a children's fun zone, and High Point Climbing, a fitness center for all ages. Patrons at the Bluewater Grille watch climbers ascending the building's color-splashed exterior. As the day draws to a close, mosey over the Walnut Street Bridge to the North Shore. 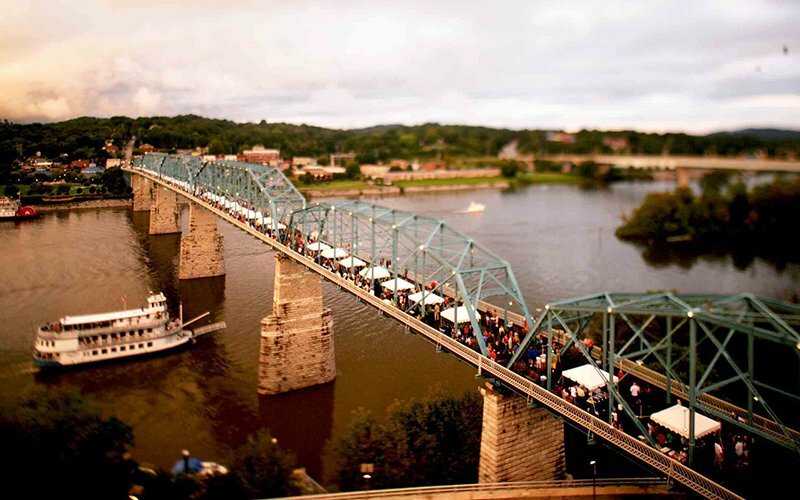 Built in 1890, the pedestrian bridge over the Tennessee River transports you to downtown's hipster district where shops and restaurants keep Frazier Avenue buzzing long after dark. Try the Peruvian chicken at Taco Mamacita on North Market Street. The river will call you back in the morning, perhaps for a 70-passenger catamaran, or a bike ride on the 10-mile Tennessee River Park greenway. Coolidge Park, the city's riverfront gathering place, features a 100-year-old carousel, fountains and Outdoor Chattanooga, a hub for fresh-air recreation. 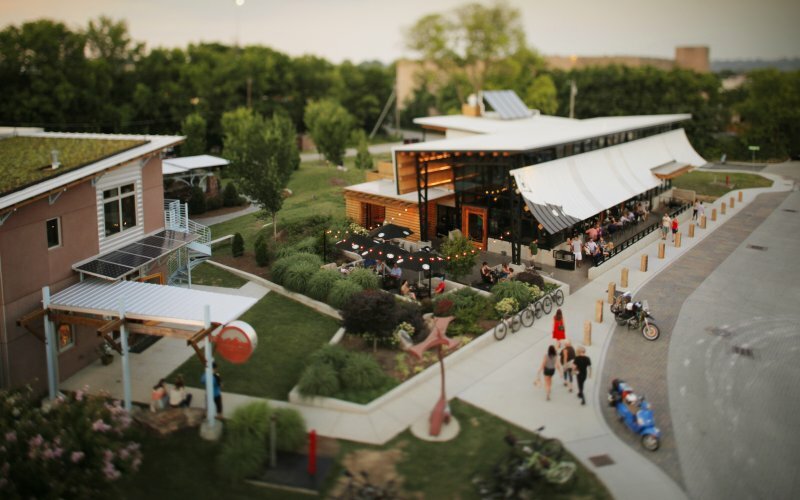 Don't leave Chattanooga without discovering the pubs, restaurants, and shops of the Southside. Fine arts and crafts at affordable prices are sold at shops along Main Street and at the Chattanooga Market. Sip brews at Urban Stack Burger Lounge or sample rustic Italian cuisine at Alleia. You'll be right around the corner from the famed Chattanooga Choo Choo, so don't be surprised if you hear the whistle blow. Embrace the small town charms of Linden, Tennessee.